Our test bank of questions and essays is the largest and most realistic collection of sample problems available on the market. Practice using thousands of questions that emulate the exam environment in every way. Get detailed answer explanations for both incorrect and correct answer choices and deepen your understanding of exam material. This one-of-a-kind, no-hassle guarantee ensures your materials stay current throughout your studies so you have peace of mind. Study and pass at your own pace. You don’t have to study alone! Your personal CMA exam mentor provides individualized support by checking in on your progress and helping you create and adhere to a custom study schedule. Gleim Personal Counselors are here when you need them! Our powerful course platform breaks CMA review into 3 easy steps so you can pass faster. 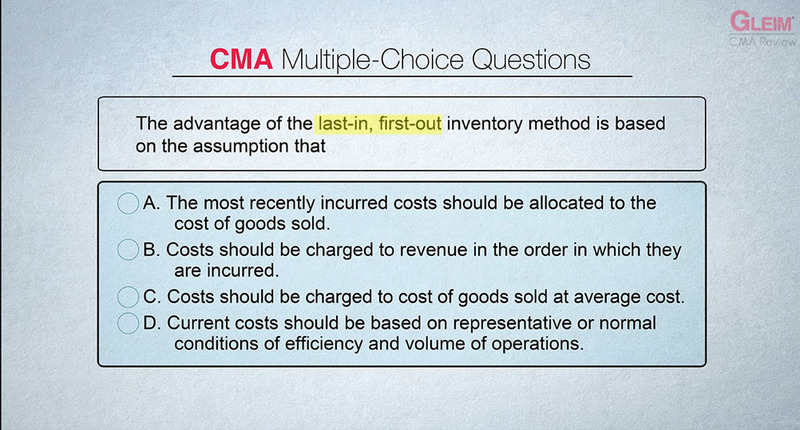 Highly acclaimed CMA Exam video series featuring lectures by professional educators. The lectures present in-depth instruction, guiding candidates through comprehensive examples, multiple-choice questions, and essays covering the most important topics from the ICMA’s Learning Outcome Statements. 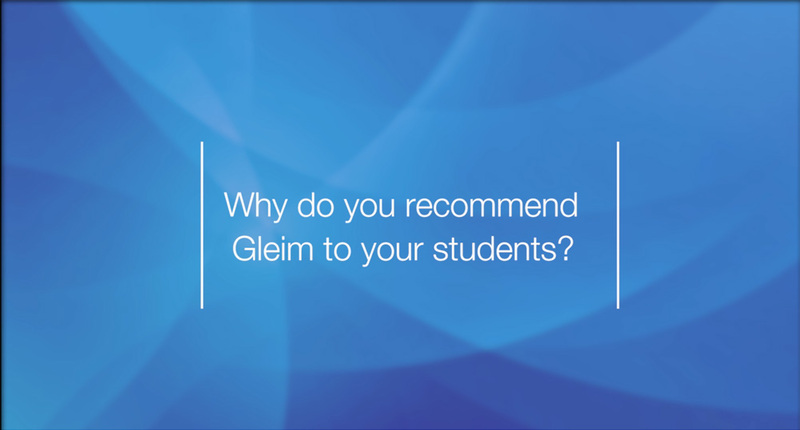 With just a few clicks you can interact with content coaches and get answers to specific questions you have about the Gleim study material. Our books are broken up into small, thorough, easy-to-learn lessons for maximum retention and contain comprehensive outlines and examples. 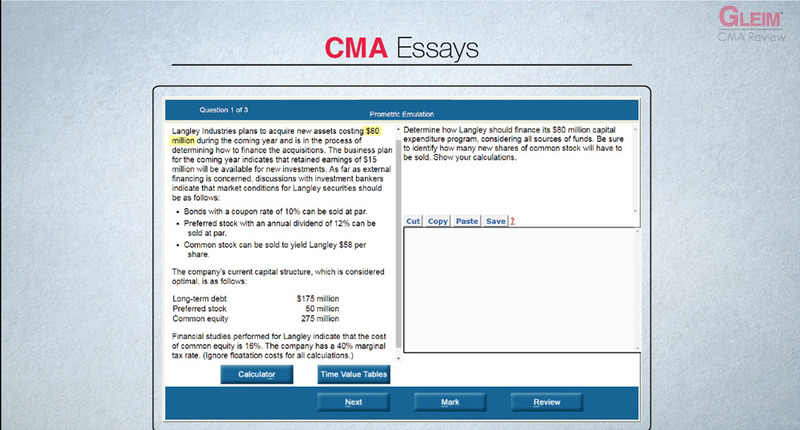 Pass with the Most Widely Used CMA Exam Prep! As long as you are preparing for and taking the CMA exam section(s) for which you purchased the Gleim Premium CMA Review System, we will ensure that you have Access Until You Pass®. Your electronic material will update automatically when new editions are released and when content revisions are made. In addition, we’ll ship you the new edition of the book(s) for only the cost of shipping. If you follow the Gleim “suggested steps” detailed in our Premium CMA Review System, are unsuccessful in passing the exam, and are not satisfied with the System, we will refund your purchase price paid for the applicable sections. You must request this refund within 18 months of your purchase.